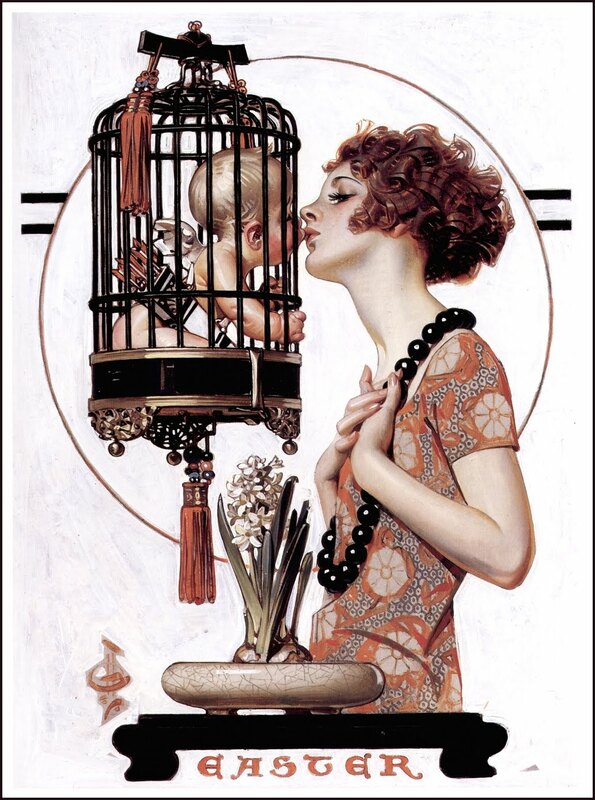 Today's Inspiration: J.C. Leyendecker: "... a recluse locked in struggles of power and love in an ivory tower, driven by impossible goals that led to tragedy." J.C. Leyendecker: "... a recluse locked in struggles of power and love in an ivory tower, driven by impossible goals that led to tragedy." 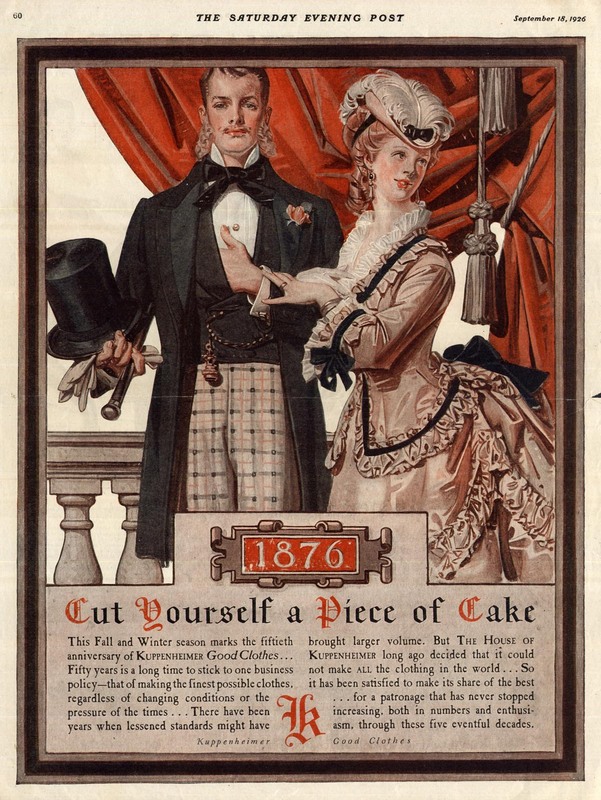 The Leyendecker Brothers credo to "buy more than you can afford -- if every day you have to work to save yourself from ruin, every day you'll work" would, inevitably, lead to tragedy. "... the building of a chateau in New Rochelle, New York, with separate wings for each studio, elaborate landscaping with fountains and fish pools and a staff to take care of it all." Reed continues, "When J.C. raised the bar higher than Frank could reach, the destructive side of the credo emerged. How could Frank ever catch up while sharing overexpenditures at J.C.'s rate? Frank suffered migraines and started taking drugs... eventually this competitive bond between the brothers split them apart." "By 1921, there was trouble brewing at the mansion, much of which can only be guessed at. It appears that Frank could not keep up with the expenses and was tiring of the rat race he and J.C. had created. When [J.C.'s manager, Charles] Beach began to 'help' Frank with his share of the bills, Beach began to own Frank." ... but Reed suggests that this may have been an attempt by J.C. to end his relationship with Charles Beach. However Beach "promptly threatened to publicly reveal J.C.'s homosexuality." 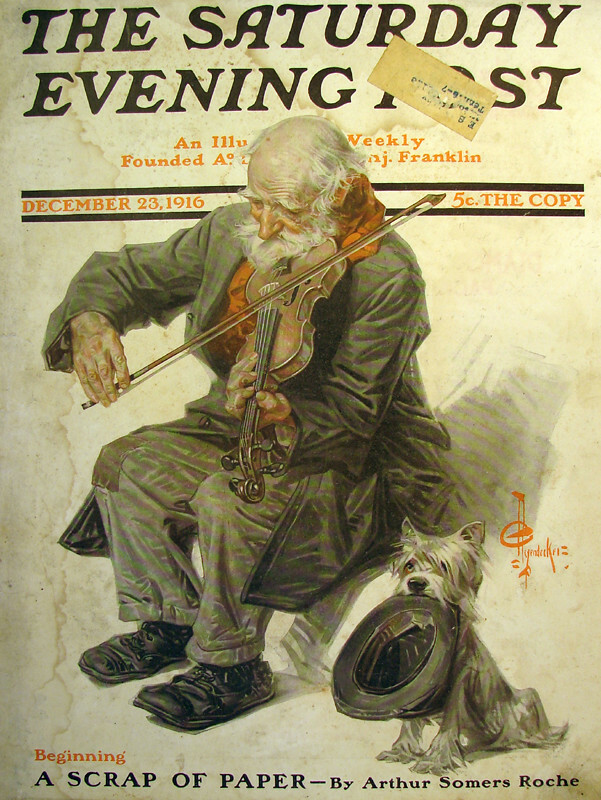 As for Frank Leyendecker, "instead of having the leisure to explore the fine arts work he wanted to do, Frank got thrown out of the mansion along with J.C.'s sister Augusta." Depression, drugs, lacklustre and low-paying work in a studio above a garage must have all contributed to Frank's untimely death at age 46. Reed writes that it was "probably a suicide. At the Chateau, the subject of Frank was thenceforth taboo." Reed describes how, despite what must have been a difficult emotional time after Frank's death, J.C.'s output never slowed. His work did, however, begin displaying "a black humor" and "a sharper edge." 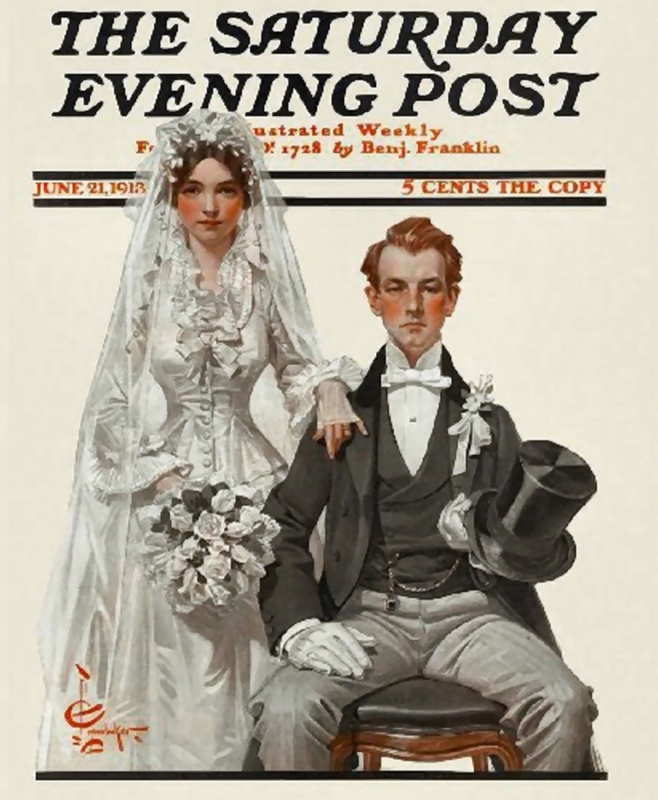 When The Saturday Evening Post began printing its covers in full colour in 1926, J.C. seems to have been at last "pulled out of his funk," according to Reed. "J.C. celebrated with startlingly colorful slices of American life..."
... and "In the thirties ... J.C. hit his perfect stride, and his covers practically strut with fresh new ideas executed with conviction and... amusing twists of humor." But when the Post stopped assigning J.C. covers in the late 1930s, he found himself, in his late '60s, having to hustle for work. "Several excellent series of advertising paintings for new clients were the result of this hardship, however," Reed tells us. After a lifetime of living beyond his means, of fearing the truth about his sexuality might be revealed, of causing the estrangement of his beloved brother (and quite possibly contributing to his early death), of being tied to Charles Beach (whom Norman Rockwell described in his autobiography as a "bloodsucking parasite"), J.C. Leyendecker died of a heart attack in 1951, unable to leave any savings for his manager and life partner. According to Reed, "Beach was reduced to selling J.C.'s sketch canvases to pupils at the Art Students League for drinking money." Lucky for us, because otherwise these would not have survived - - J.C. had wanted his sketch canvases destroyed. ... and, Reed tells us, an area art supply shop had stacks of J.C.'s sketches available for just a dollar a piece. They languished for years as there was little interest from the store's patrons. 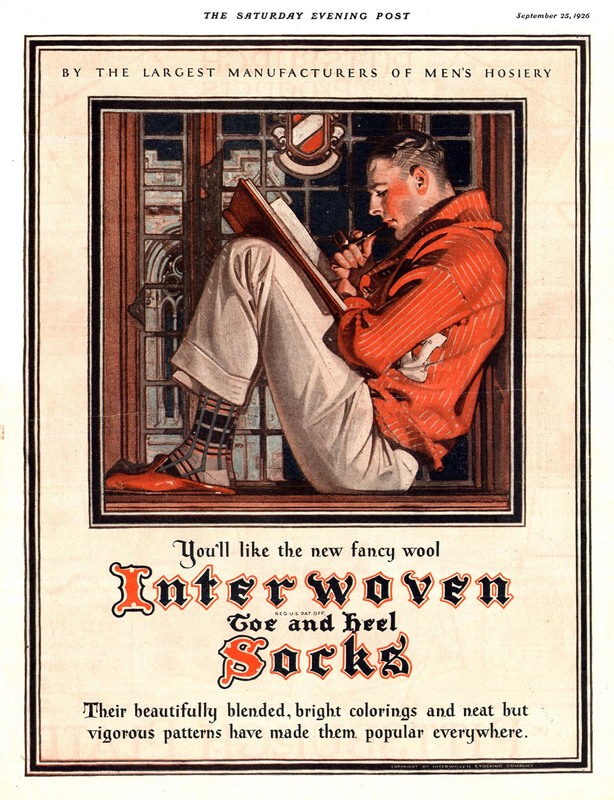 * Thanks to Roger T. Reed of the Illustration House for allowing me to excerpt from his essay on J.C. Leyendecker. The essay is © Roger T. Reed and originally accompanied the '97-'98 J.C. Leyendecker retrospective at the Norman Rockwell Museum. Damn. $75 for Leyendecker?! $1 for sketches?! What I wouldn't give for a time machine. These are great posts Leif.. an excellent look at an illustrator that was admired and studied by many mid century illustrators. 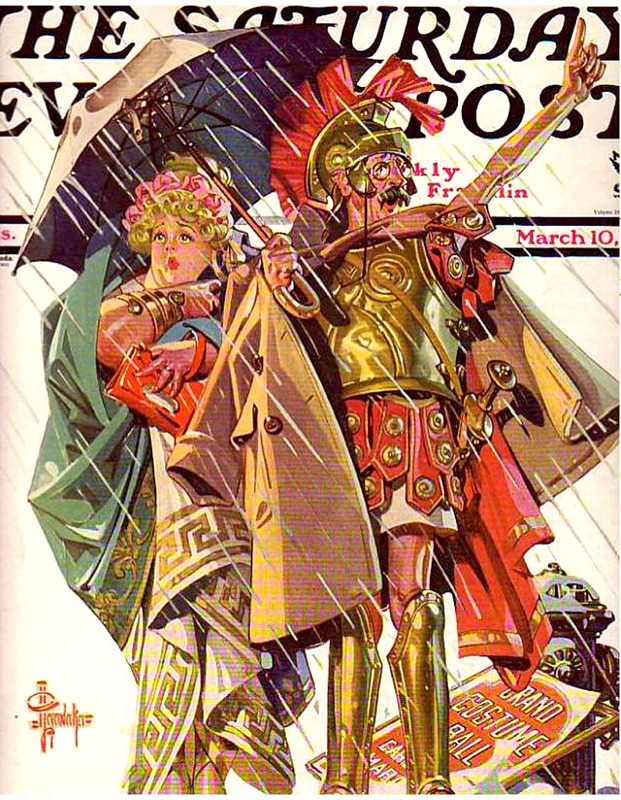 Leyendecker had a visual solution for every scene he painted. The only thing missing is the beauty of looking at his originals in their larger size format. They are mind blowing! 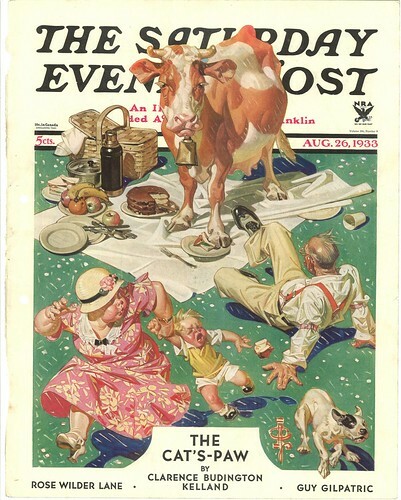 The picnic scene with the cow crashing the party, is so busy, yet Leyencker pulls it off with extreme clarity and it's fun to look at. Each figure is like a polished statue.. so demential, you feel like you could reach out and touch it. His control of values and color temperature was masterful. And, thanks for your comment David A. I couldn't agree more. The legacy of the man's work is far more important than all the little side roads surrounding that era. 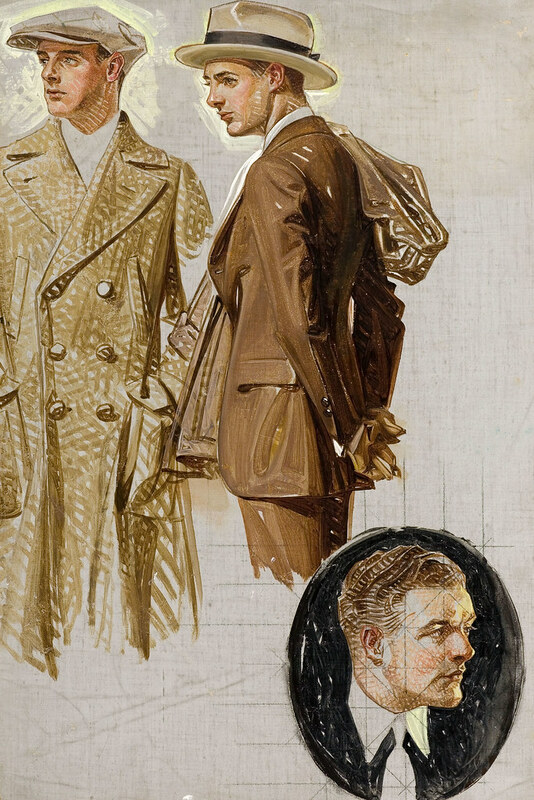 Thank you very much for this wonderful series on the great JC Leyendecker, Leif. 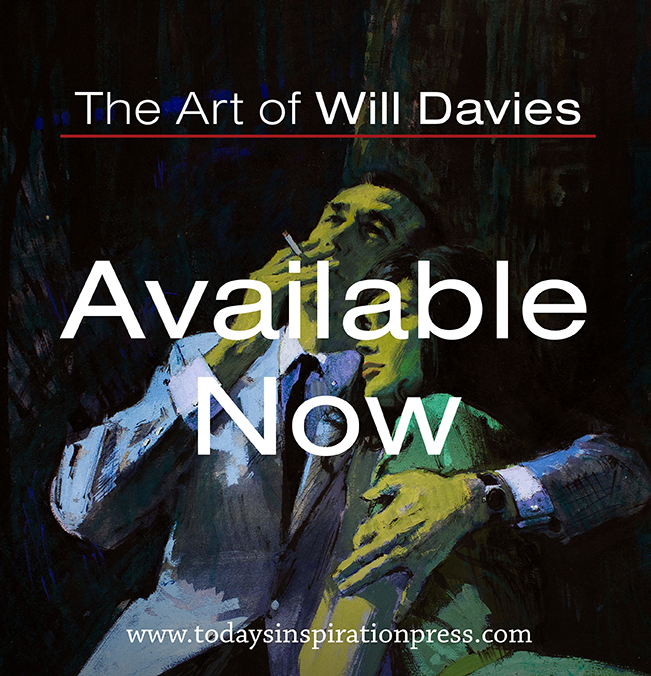 Your blog is now the best source of reference available on the web on the artist. 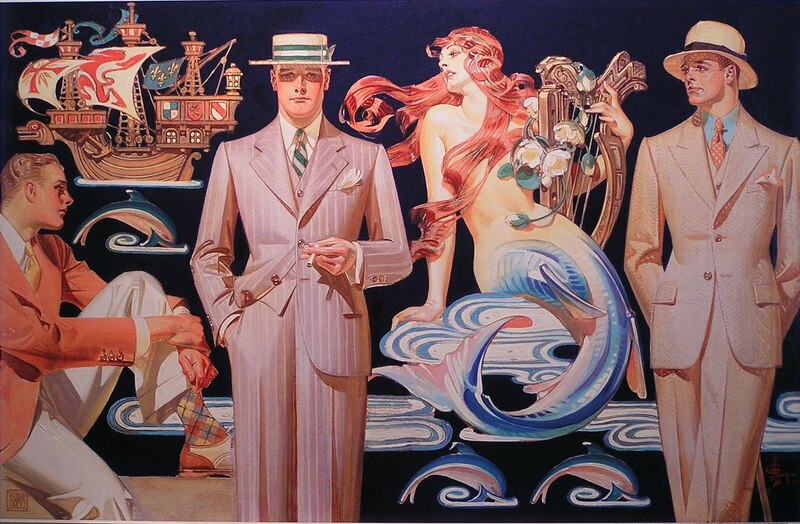 Tom; thanks - if you'd like to get a close look at some Leyendecker originals, Scott Anderson's blog is a great resource. Scott took the time to carefully photograph the details of several Leyendecker canvases and share them on his blog - a wonderful gift to all of us who admire and respect Leyendecker's prowess! Thanks Leif. Those close ups on Scott Anderson's blog are great! Leyendecker never left anything for chance. Every inch is so carefully worked out and resolved. Apparently he didn't use a projector to transfer his drawing to the canvas surface. The light grid lines are evident in those close ups and the originals I saw. That process is time consuming, but keeps the drawing skills sharp. Whew... seeing Leyendeckers you haven't seen before, the sketch of the woman in turquoise basting the turkey, the postman's bag... the absolute virtuosity still shocks me. His stuff is so extraordinary, he can literally make me well up. I have a funny feeling there were very very few people in the world that might drive Rockwell to the kind of vehement dislike he felt toward Beach. The coffee cups alone are fantastic works of art! Nuff said. Fantastic blog! I don’t think I’ve seen all the angles of this subject the way you’ve pointed them out. You’re a true star, a rock star man. You’ve got so much to say and know so much about the subject that I think you should just teach a class about it...Ha-ha! 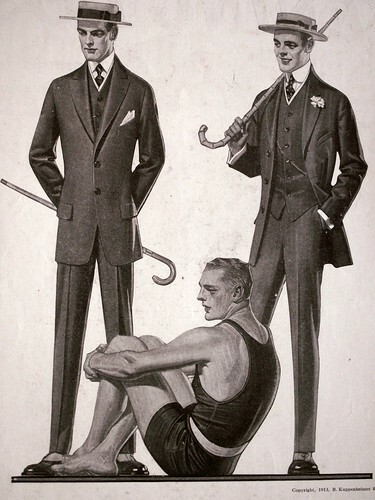 I noticed in Leyendecker's sketches that he used gridding. Do you happen to know if, in those days, this was strictly to transfer a sketch to the canvas, or, as is fairly common today, an illustrator would photograph his/her subject and grid the photo. (Please note, I'm not implying that he wasn't a fine draftsman; I'm only asking if he might have done so as a timesaver, which is how many modern artists justify their use of projectors). Don't know what to appreciate first: Those Thanksgiving dogs, for instance, alive, accurate, dynamic. Dynamite! 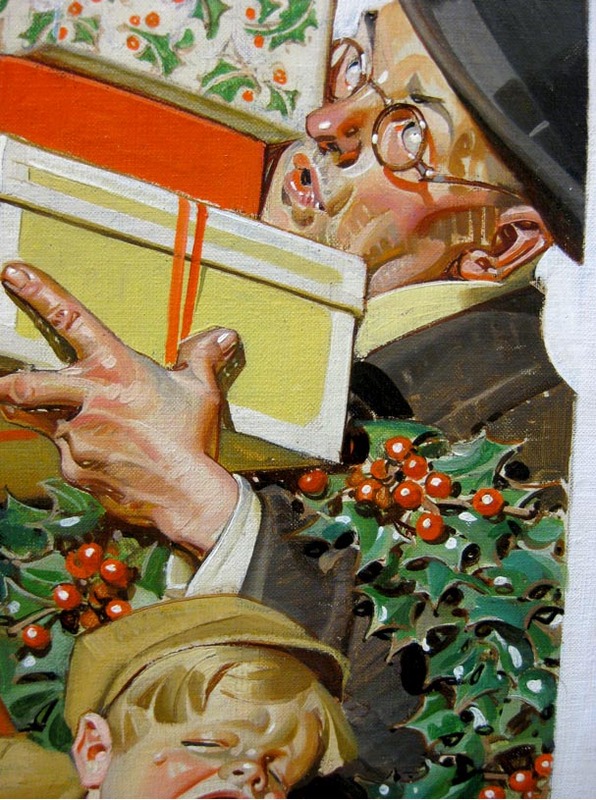 Leyendecker also has a way with his manifold tiny highlights. Everything is sparkling with a freshness of its own. 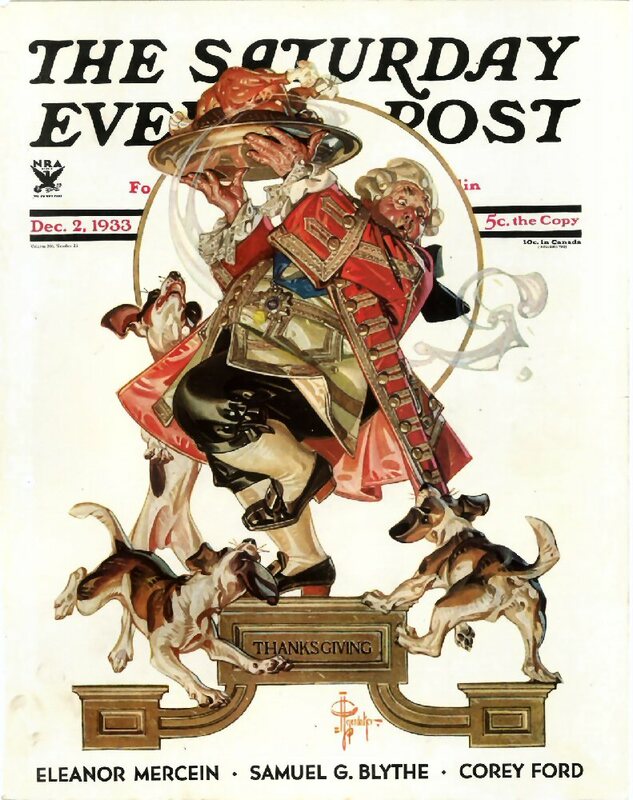 Kev; Norman Rockwell wrote about those sketch canvases in the chapter of his autobiography devoted to Leyendecker. There must have been mountains of them by the sounds of it. 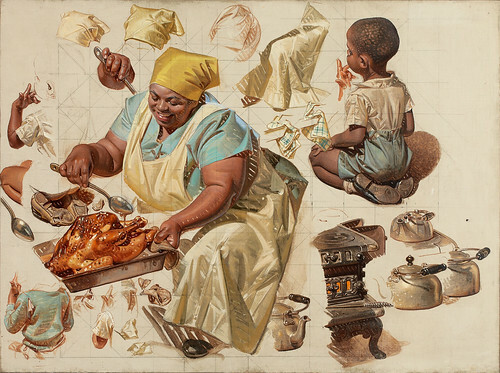 I'm not sure if you've read the book but from Rockwell's description, Leyendecker told him they were the key to his masterful painting technique. He practiced and perfected each element on thos sketch canvases until he was satisfied that he had it down perfect. That way, he said, he didn't need to concern himself with draftsmanship on the final and could concentrate instead on the effectiveness of each paint stroke. Mark; Someone else may have a more definitive answer for you but I suspect the grid system was unrelated to photography. Leyendecker worked from the model - from the description in Norman Rockwell's autobiography, they would be there all day, sitting for the artist. 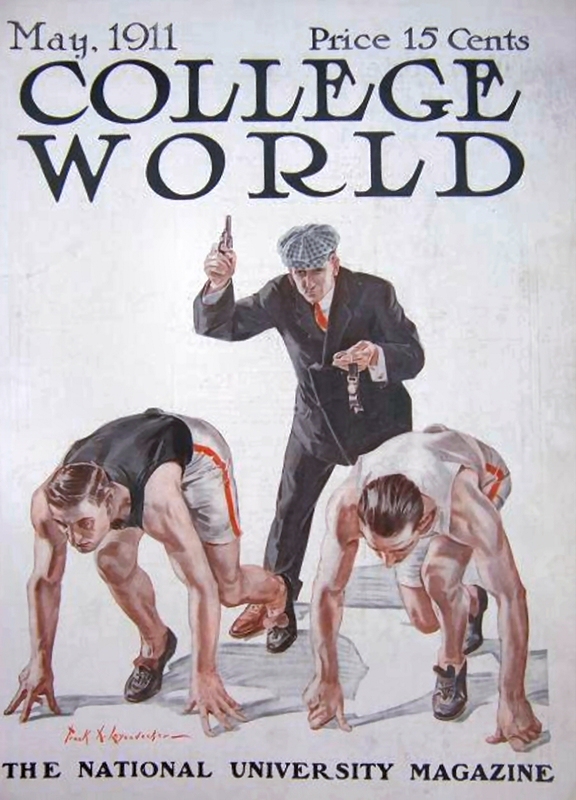 That sort of implies, to my mind anyway, that Leyendecker did not use photo reference. Leif you are right about Leyendecker's grid lines, and using models. However, he may have used photos for animals, birds, etc. Rockwell recalled nailing the web (which is painless) of a duck's feet to the floor, to keep it still. But, it didn't really work very well. It only pissed off the duck. Most of the top illustrators didn't start using photographs to any degree, until the mid to late 1930s' from what i have read. 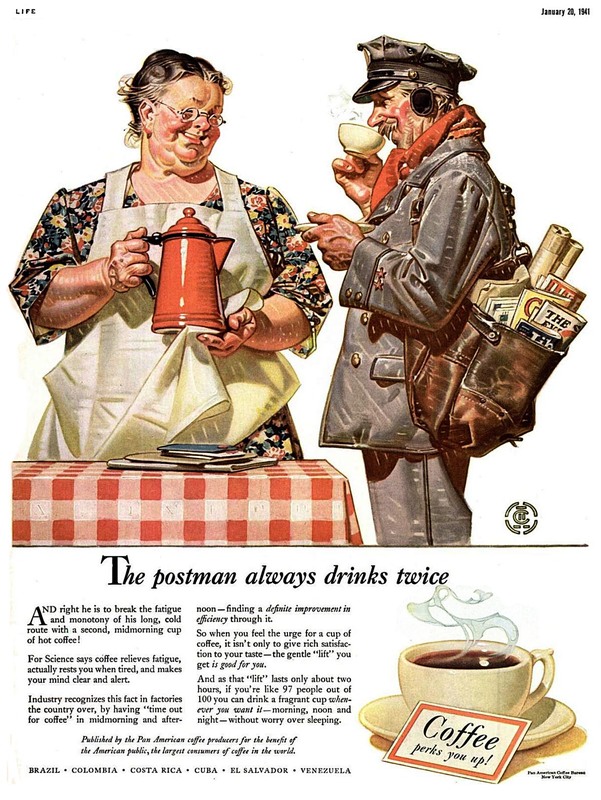 It was considered cheating and even sacrilege by many including Rockwell. 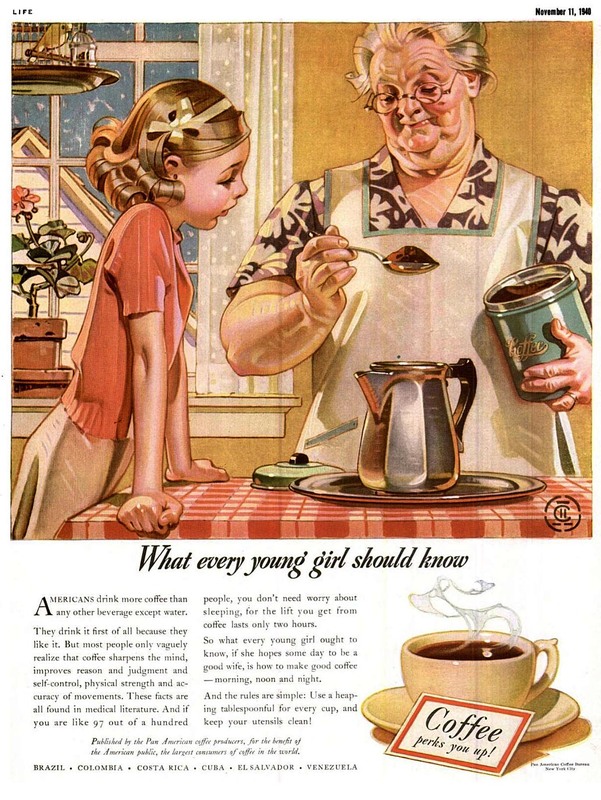 But, the change in illustration, including the use of dramatic eye levels and the workload and short deadline demands, forced most illustrators into using photographs almost exclusively by the 1940s'. At first Rockwell was guilt ridden about it, and didn't divulge his use of photographs for several years. 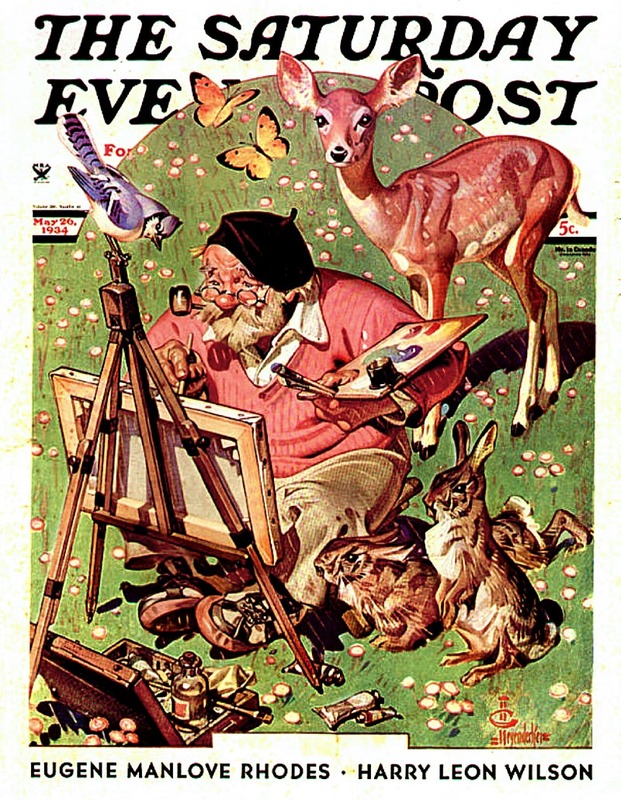 One fellow illustrator who was a "purist," refused to talk to Rockwell, after reluctantly admitting he was using photos. This post is a jewel: The fabulous work of two excellent illustrators, unknown for me, and the story of their turbulent and tragical lives. "Chapeau!" Thanks Mr. Peng again for this amazing free resource in Internet! I have listed one of the original oil studies for a 1913 Saturday Evening Post cover on eBay if anyone is interested. a nice semi detached cottage. As he couldn’t find that in New York he decided against moving. 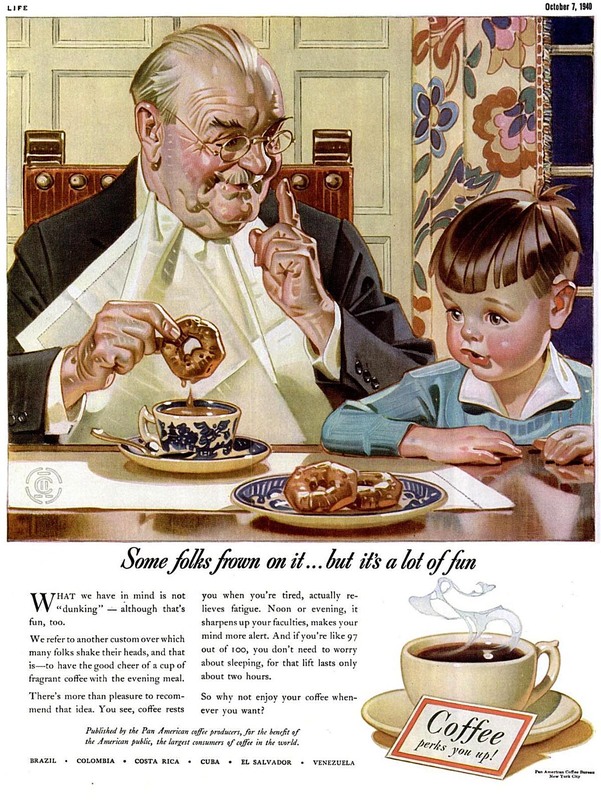 Did your father tell you what Leyendecker was like? His work habits? His personality? His foibles? Would love to read anything you care to write.